A vast, nautically inspired building reminiscent of the Sydney Opera House rises from the Bois de Boulogne, one of the grandest parks in Paris. In the three short years since it opened, the Frank Gehry-designed Fondation Louis Vuitton has developed a reputation not only for its impressive looks, but for bringing some of the world’s most extraordinary art to the French capital. Its recent landmark exhibition of works from the renowned Shchukin Collection, staged in conjunction with the State Hermitage Museum in St Petersburg, was deemed by experts to be one of the most important shows in recent history. This autumn, the Fondation Louis Vuitton continues its tradition of collaborating with foreign galleries, joining forces with New York’s Museum of Modern Art, or MoMA, to bring to Paris 200 remarkable canvases, including works by American artists such as Diane Arbus, Philip Guston and Andy Warhol that have never been shown in France. The exhibition opens in October and runs until March next year. Alongside the great American artists, the Fondation Louis Vuitton and MoMA will be showing work by a number of European artists on home turf for the first time in decades. MoMA’s collection is still dominated by European art, largely due to the fact that when Alfred Barr founded the Manhattan museum in 1929, he was deeply inspired by fauvism and cubism, movements that were partially founded in France. So masterpieces by European artists such as Paul Cézanne, Gustav Klimt, Pablo Picasso, Henri Matisse, Giorgio de Chirico and René Magritte will be attracting art-lovers from around the country who have never had the chance to see a number of their pieces in France. “This exhibition has two objectives: to show in Paris works that represent pivotal moments in the history of modern art, while eliciting the impact that the expanded and renovated MoMA will have on the international landscape,” says Suzanne Pagé, the artistic director of the Fondation Louis Vuitton. Hugely inspired in her personal career by MoMA, Pagé believes that through its 200 artworks, Being Modern: MoMA in Paris will tell a clear, concise story of the great New York institution’s roots and the ideas it was founded on—a story that is understandably more difficult to tell in the vast, expanded and renovated MoMA in Manhattan. Particularly notable artworks in this exhibition include Picasso’s The Studio, which shows off the vivid palette of synthetic cubism, and Cézanne’s The Bather, in which the traditional subject matter of a young man swimming is set against a barren background with a very modern sense of ambiguity imbuing the canvas. And while Paris may be home to some of the most venerable art institutions in the world, the combination of Bernard Arnault’s vision, Frank Gehry’s masterpiece and America’s most prestigious modern art museum is one that for a few months may eclipse even the sultry smile of the Mona Lisa. 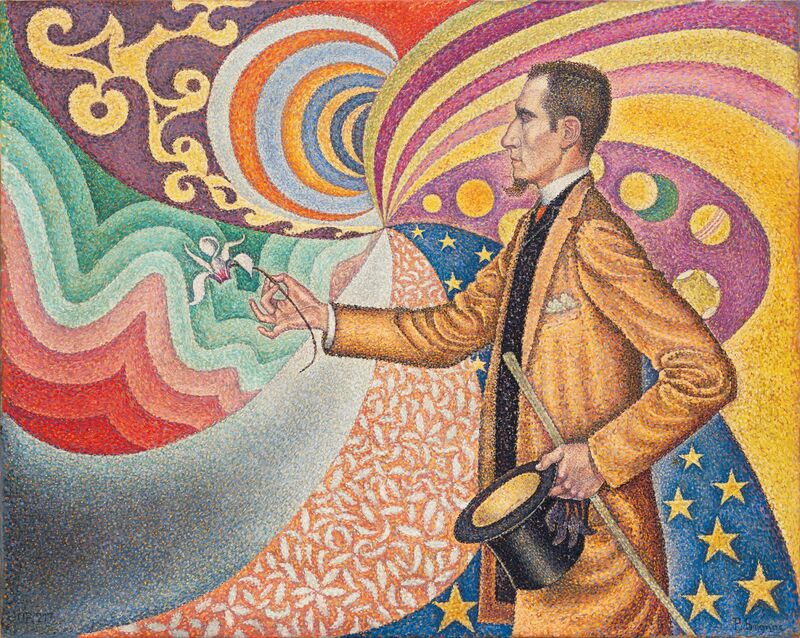 Being Modern: MoMA in Paris can be seen at the Fondation Louis Vuitton from October 11 to March 5.